Our 30 years of service at Shred Nations allows us to provide our customers with electronic media destruction services, offsite shredding, and mobile shredding services throughout Fort Worth. Since we have been shredding documents since the 1980s and throughout the country since 1994 and we know the shredding business. We know the contractors that are completing the shredding and we know that they take your privacy seriously. We want to help you protect your privacy. We have over 100 drop off locations in the state of Texas, and there is a numerous amount of drop off locations in or near Fort Worth. We will help you accomplish any shredding task you may have, at an affordable price. Thank you for taking the time to find the resources to reach us. We appreciate your invaluable time. If you need free quotes on shredding services in the Fort Worth area, use the information below to contact us and we will put you in touch with local shredding companies waiting to help you. 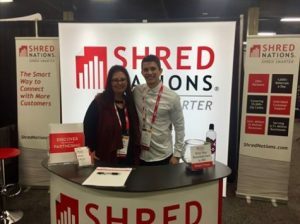 Get Free Quotes on Mobile Shredding, Offsite Shredding, and Electronic Medical Destruction Services in Fort Worth Today! Shred Nations Fort Worth offers secure document and electronic media destruction services to help Texas businesses keep their data secure. To begin protecting your documents call us at (817) 789-4067 or fill out the form on the right. Within minutes of submitting your request, a local shredding company will be in touch to provide you with free quotes to help you begin your shredding project.